I only had a half day left, which I had reserved for spending in the center of Yangon. Up to that point I hadn’t really seen it. The heart of the city is the 2000 year-old (give or take a few hundred years) Sule Paya, which has somehow escaped damage from the many earthquakes. Aside from its age though, there isn’t much to recommend it. 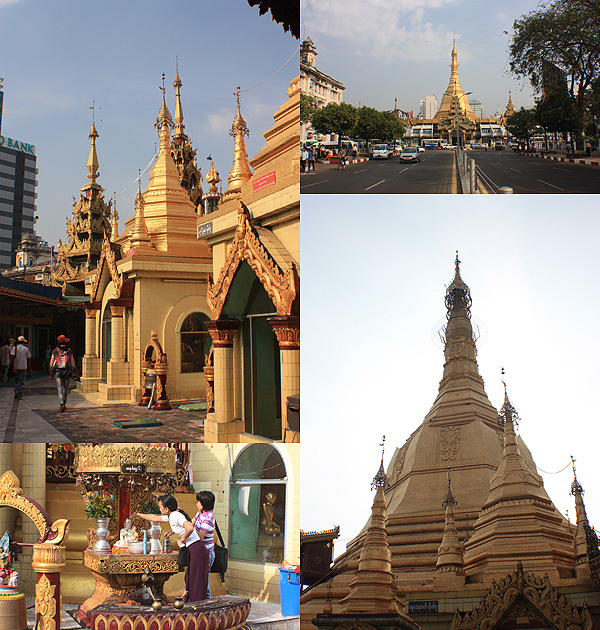 After seeing the Shwedagon Paya, it’s a big disappointment. Having made a donation to the temple to have someone take care of my flip-flops I then discovered there was also an entrance fee, followed by more – rather agressive – requests for donations. The only one I gave in to was really done for a little fun. I paid to have my “prayers” – in the form of a small envelope – sent up the central chedi on a kind of mechanical gondola. I didn’t realize I was the one who was supposed to turn the handle to send the gondola on its way, and at about half way I noticed a young local lad watching with fascination, so I got him to complete the task. Sending my “prayers” to the heavens. 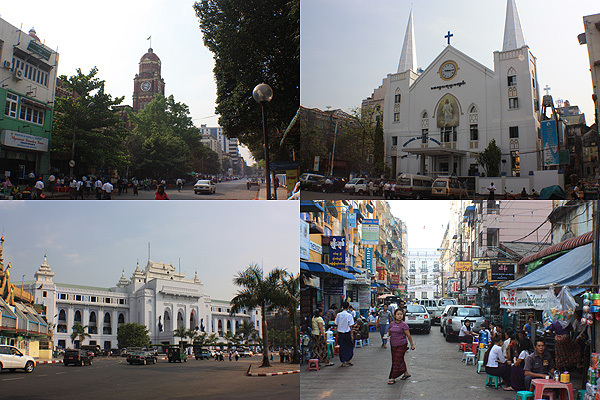 After that I just wandered around the city, looking at the old colonial buildings, and the general chaos of the place. After being approached a few more times – quite aggressively – for money, and not finding anything in the city center particularly worth looking at, I decided to head back to the hotel. That just left me enough time to reach the hotel, yet again to patch-up the dusty and bleeding feet, grab a simple lunch and head back to the airport. For some reason this wasn’t a trip I expected to enjoy. I’d wanted to go to Burma for many years, and realized that now was probably the best time. But I expected it to be a difficult trip … maybe struggling with the language, not finding it easy to get around, perhaps being an unwelcome foreigner. But I couldn’t have been more wrong. 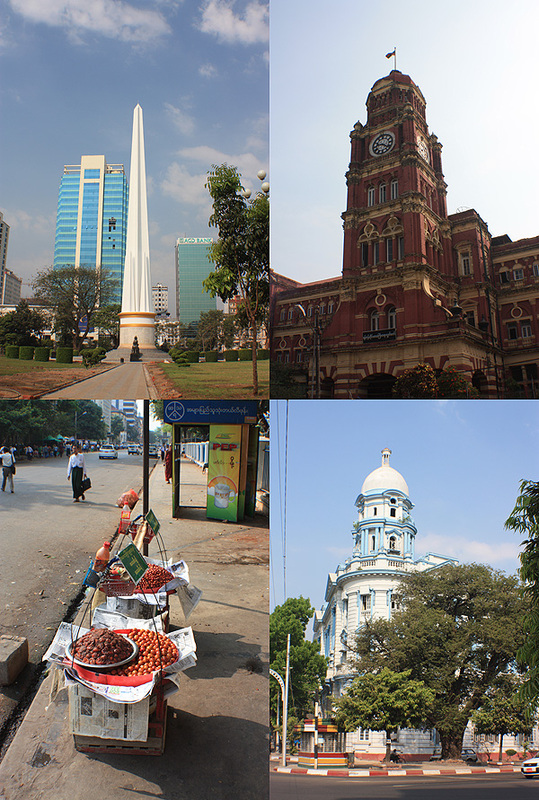 Yangon, except for the city center, is very likeable, as are the people. Some of the sights are simply amazing, and I thoroughly enjoyed the whole experience. Someone asked me if I’d go back, and I had to admit “not yet.” I feel I’ve seen what I wanted to see, but it would nonetheless be interesting to see how the country develops. So, maybe in ten years or so. Maybe not. I have a long list of other places to visit first.